In recent time, the word “startup” has become very valuable for young graduates. When I hear someone talk about a startup two things pop up into my mind, innovation, and growth. A startup usually refers to a company, a partnership or organization one designs to develop a business. It is typically technology-oriented and has high growth potential. These companies offer a product or service that is not currently being offered elsewhere in the market, or that the founders believe is being offered in an inferior manner. A startup explores an unknown or innovative business model in order to disrupt the existing markets, as in the case of Google, Amazon or Uber. Startup companies can come in all forms and sizes. It represents a culture and mentality of innovating on existing ideas to solve critical points. The key attribute of a startup is its ability to grow. “Build the new, don’t just fight the old”. A startup is a company one designs to scale very quickly. It is this focus on growth unconstrained by geography which differentiates start-ups from small businesses. Investors are generally most attracted to those new companies distinguished by their strong co-founding team, risk/reward profile, and scalability. Since a startup is a young company which is just beginning to develop, it is still in its first stage of the operations. 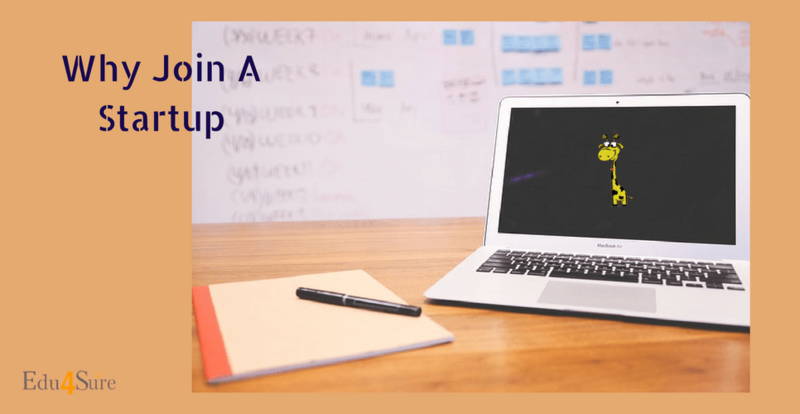 Hence, it means that if you join a startup you will be a part of a small team and therefore it is highly possible that nobody else in the company possesses the same set of skill sets as you. Naturally, a wider approach for a solution to a problem is possible as every individual in the company thinks, comprehends and reacts differently. In my case, when I just graduated out of college I faced the same dilemma, whether to join a startup or an already established company with better pay scale and cushy benefits. A young mind often leans towards the benefits offered by a corporate job over a job in a startup. This is bound to happen. Since it is a strong belief that a corporate job in a high profile company will look more attractive on your resume. But we need to ask whether the name of the company matters or the experience which comes from working in it. At a startup, an individual is not constrained by their work. In fact, they are motivated to improve their potential and to venture into new directions and take risks to explore their truest potential. Not only this, there is a team which works hand in hand to conquer the world together. You are surrounded by people who are as determined and as enthusiastic to work for the task in hand. This sense of belongingness in a team is not present in a corporate job. One of the biggest complaints I hear from peers who have entered into a more-structured, corporate position is that they are generally stuck with their main task and don’t get to branch out into other areas. Whether it’s writing, designing, filling out spreadsheets, or any other task, it’s usually a one-person-fits-one-task kind of position. At a corporate job, you are expected to work only at your station place and therefore it is often a trend at such companies that people from accounting do not know anyone from the HR or marketing section. This trend is not common in a startup as you need to interact with everyone who is a part of the team. A startup is a company with a small group of people aiming to work in a progressive direction. It is important to maintain a healthy and a good work environment and to share natural chemistry in your working relationships. It means that your peers will be more productive and more satisfied in this atmosphere. Also, because start-ups have fewer people within an organization, they tend to have a much better, more accessible personality. Every member is important and holds a dignified position in the company. In large MNCs, every task must be carried out in a particular format and there are rules surrounding everything. The freedom of work is less. While there must be some solid rules and formal processes in place, a startup is a place where you need to bond with the members of your team. It means your work will be more productive and reliable. When I first joined Euphoria I was a part of a small team which was already in place. With a degree in content writing and have some experience, I immediately got a lot of appreciation for my work. In a couple of weeks, I was handling the blogs and the marketing branch at the startup. I never knew a sense of responsibility before this experience. It made me feel like an integral part of the team in just a months’ time. I was not the most important part of the team but I sure was an integral part of the team. For a recent graduate, fresh out of college, there will be a huge shift in knowledge and working style in the process of adhering to the industry standards which is invaluable. Also, many times you have to wear multiple hats, as the responsibilities are not clearly defined. One may have to fill in for others when they are gone. And perform duties that are not even close to your normal responsibilities. Even the tiniest ideas are heard and are genuinely discussed if they can be adopted. You can work on a product from its inception until the release which gives you a sense of ownership. The exhilaration of being part of a successful startup produces pride and a sense of accomplishment that is extraordinary. You will never regret the long hours, hard work and a smaller paycheck. Working at a startup is a more challenging job. Not only one appreciates you for your work but also highlights your limitations and failures. For two reasons, this is a good thing. Firstly, it’s nearly impossible to slack off too. Within a few days, your coasting and slacking will be noticed. And the rest of the team will wonder why they are working harder than they have to. That keeps you focused and on your game. Secondly, because failure is easier to notice, you’ll make sure to eliminate mistakes. This helps to avoid disappointing your colleagues. Stay focused, and your successes will be recognized and your failures minimized. This ensures that once you work in a startup your skill set enhances. “Great work is performed not by strength but by perseverance”. Joining a startup is usually a pretty big risk and a lot of work. In order for it to be meaningful, you need to make sure that in addition to bringing a lot to the startup, it needs to bring a lot to you. Are you willing to wear multiple hats? Do you want to have a fair amount of discretion and control? Are you hoping to work with a specific founder? I’m a big fan of growth opportunities in a startup, particularly for younger individuals earlier in their careers. You will get the diverse set of experiences and visibility nowhere else that you can get in an early-stage startup. If you’re not going to benefit from this (or are not passionate about it), you’re missing out on one of the biggest components of value. In my experience, I recommend graduates who are willing to explore and take risks to join startup companies. Since it helps them to acquire great skill set and knowledge. 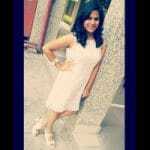 I am Mehak and I had no idea if I could ever write. Thanks, Edu4Sure for providing me an opportunity to explore my writing skills. Miles to go before I sleep! What Is Entrepreneurship & How To Be An Entrepreneur? What Is Entrepreneurship Program And Why Is It Important?